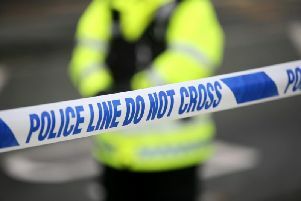 A man in his thirties has been detained at Londonderry following a prolonged operation involving specialist police units and other emergency services at John Street. The police cordoned off John Street from Carlisle Circus to Foyle Street shortly after 3pm on Monday (January 26). An operation, which involved a man in a block of flats overlooking the city centre street, was resolved at 8pm.